I’ve made it no secret on here that I’m a little bit of a fan of Digimon. Some of my close friends even affectionately call me the Digimon King. This weekend the fourth movie in Digimon Adventure Tri was released in Japan. Now it’s been released with English subtitles. As tempting as it is to watch it now (especially after how heart wrenching it was to rewatch part 3 this last week), but I’ve committed to watch it with a friend this coming weekend. In the meantime, I’ve been thinking of loose ends of plots that never got finished from this Digimon universe (seasons 1 and 2). 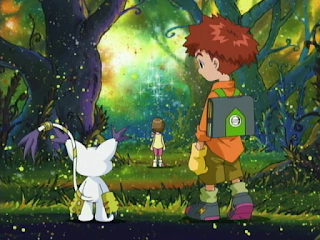 As much as I’ve talked Digimon up, no show is without its shortcomings. There were many things just left dangling in Seasons 1 and 2. With this movie and two more to go, this would be the perfect time for them to address some of the loose ends that exist (although unlikely for some of them). No spoilers for part four of Tri, but there may be some spoilers for parts one, two, and three. 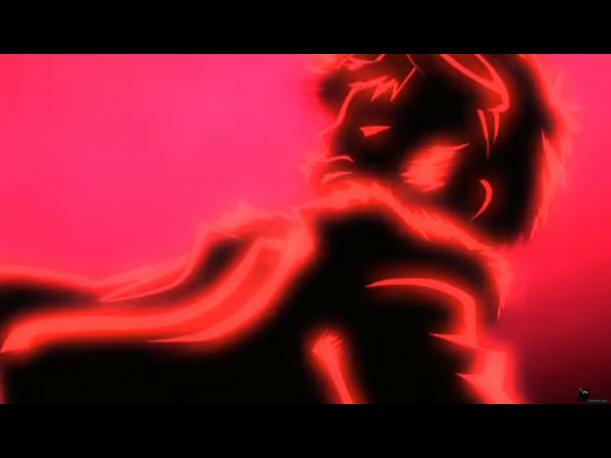 Dragomon in the Dark Ocean: So in episode 13 of Season 2 (“His Master’s Voice”), we got introduced to a whole new world, parallel to the Digital World and the Real World. After Kari got pulled into this world and TK went in after her, we see a very cryptic Digimon in the ocean as the cliffhanger. This Digimon, Dragomon, is never seen again. 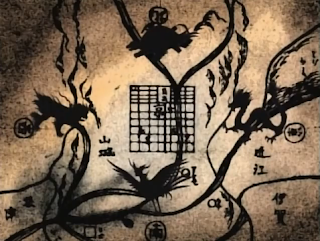 We see the Dark Ocean again in Ken’s origin story and when Daemon appears, but Dragomon never appears again. 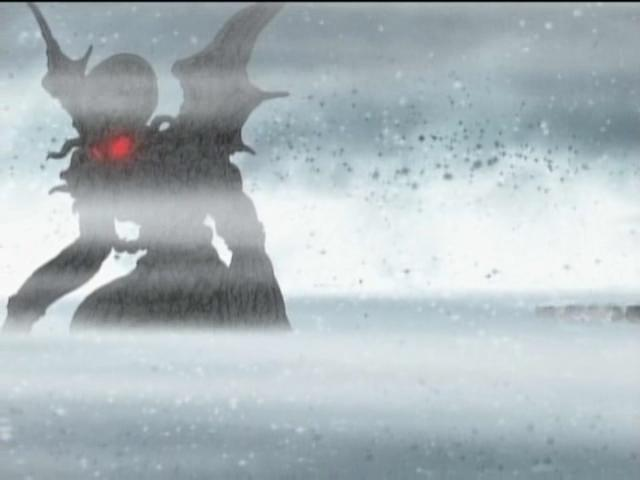 Could we see this again in Tri? Yes. Do I expect us to? No. Not a bit. 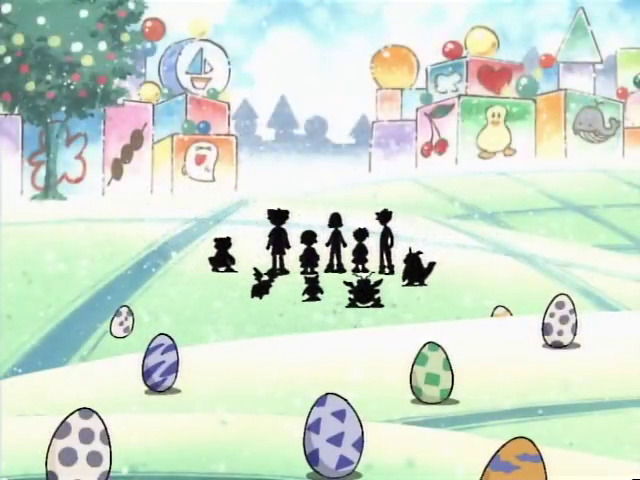 Gennai and the Black Sphere: In Season 1 Episode 45 (“The Ultimate Clash”) we get the explanation as to why the Digi-Destined were chosen and how their Digimon, Digivices, and Crests were all put together. In the struggle that ensued when Piedmon tried to steal everything, Piedmon pushes a little black sphere into Gennai’s neck. We are never told what the consequences of this are. Is that why Gennai aged? Or is it why we have a dark Gennai lookalike in part 3 of Tri? In one of the audio dramas, Izzy mentions a black bead, but other than that we know nothing. Since we’ve got some dark Gennai, it’s possible we could learn something about this. Homeostasis: Twice now Kari has been taken over by a mysterious force. We know that it was Homeostasis in Tri but it would make sense to assume that it was the same in “The Ultimate Clash”. Since we’ve already seen Homeostasis once in Tri, it wouldn’t be unreasonable to see her again. The Original Digi-Destined: As Season 1 came to a close, we were told about some Digi-Destined that existed long before Tai’s group. “Now Apocalymon” shows them as the silhouettes of five of the kids and their Digimon. I had hoped at one point that season 4 or 5 would be about the original Digi-Destined and their adventures. Obviously, that didn’t happen. Now that we’re back in the original continuity, we can learn something about them. I’ve always thought that TK and Matt’s dad was one of them, because of his knowledge of Gabumon in “Flower Power”, but the line in question didn’t exist in the Japanese. However, despite him being out of the running, I have read theories about Himekawa being one of the original Digi-Destined. I guess I’ll find out when I watch part 4. The Digimon Sovereign: Azulongmon appeared in “Kyoto Dragon” in Season 2 and it was implied that there were three other divine Digimon like him. We see all these Sovereign Digimon in Season 3, but seeing as that’s a different universe, it doesn’t really count. Though I’d consider it unlikely, I’d be interested to see Ebonwumon, Baihumon, or Zhuquiaomon in Tri. Missing Digi-Destined: Finally, there’s the thing of missing Digi-Destined in Tri. We know at least four of them are missing and no one is really questioning it. That’s weird, right? No one even thought to check on Ken until whoever that was showed up at the school festival. And no one really said anything about Ken’s D-3 appearing. I know Season 2 wasn’t as popular, but I’m hoping they don’t leave that hanging. I mean, all fourteen of the kids appear in the Season 2 epilogue, right? Well, I guess in a week I’ll know more about all of these loose ends… or not… I guess we’ll see what Digimon Adventure Tri “Loss” has for me.